Aside from all of the glitz and glammer some celebrities are are just like you and me, they enjoy a good old fashioned caravan holiday. I started thinking about how you don’t really get to hear about celebrity caravanners, let alone bump in to them on-site. So I decided to do a little bit of research to find out who (if anyone) the famous caravanners are. 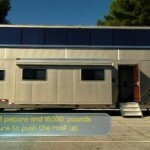 Surprisingly I found out about 12 different celebrities that are either caravan owners, Caravan Club members or just really like the idea of a home from home on wheels. 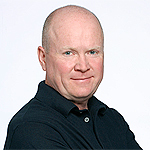 Or Phil Mitchell from EastEnders to you and me. I don't know why, but he just seems to me to be the most unlikely celebrity caravanner (except for Jeremy Clarkson of course), which is why I've put him first on the list. Not a lot is known about Steve's caravanning passion, as in whether he owns a caravan or if he just enjoys a weekend break here and there. All I know is that he is that if Albert Square's original bad lad can tow a caravan, so can anyone! Ok, so Gwyneth is not strictly a 'caravan' fan, but she was reportedly arranging a trip around Florida in a luxury Winnebago with her husband, Chris Martin (Coldplay) and their friends Beyonce and Jay-Z (only one of the most talked about celebrities couples in the world). After Chris Martin's and Jay-Z's exhausting tours around the world they were looking for something low-key to help them relax. 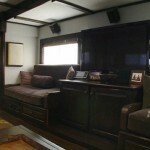 Knights ride horse and dames ride... caravans! Dame Helen Mirren is in fact a confirmed member of the Caravan Club. She owns a motorhome and as quoted by the club “Dame Helen Mirren regularly takes her motorhome on the roads to get away from the hustle and bustle of city life and simply have a bit of down-time with her nearest and dearest.”. 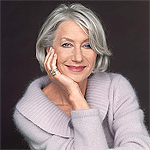 Dame Helen Mirren has won a massive number of awards during her acting career including; an Academy Award, 4 x BAFTAs, 3 x Golden Globes, 4 x Emmy Awards and Cannes Film Festival Best Actress awards... I think she deserves a bit of time to herself everyone in a while, don't you? Depending upon you're taste of TV, you may know Billie Piper from Doctor Who, Secret Diary of a Call Girl or one of her other parts. The actress is also a member of the Caravan Club and regularly takes to the road for a countryside getaway. Jamie Oliver, a celebrity chef and proud owner of a Porsche-powered VW Spiltscreen Camper. 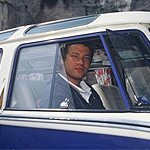 You will have seen Jamie's campervan on some of his TV shows and in some of his books. 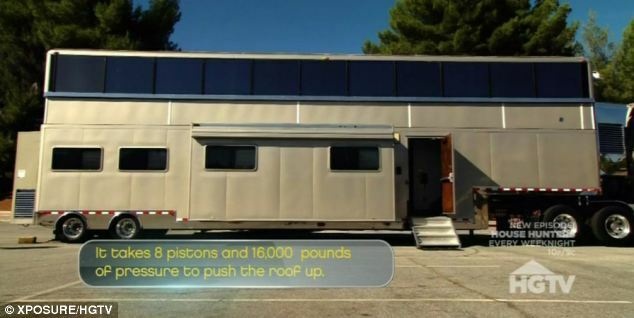 Jamie uses the 1959 camper to move from one location to the next when filming his TV series. Have you ever seen him in his VW? I'm still wondering to myself how these celebrity caravanners manage to go away in their caravans unspotted! 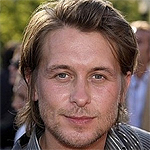 if you see Mark Owen in his caravan, be sure to take a snap! Lorraine is a known caravan enthusiast. She is also a popular personality with caravanners; she opened the Scottish Caravan Show and was also voted "ideal caravan guest" in a poll carried out by Safeguard. 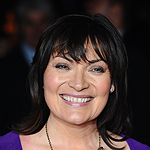 It is not known whether Lorraine owns a caravan or if she is a member of the Caravan Club, but if the rumours online are correct, both are true. 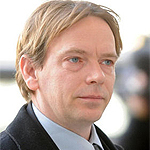 The second EastEnders (Ian Beale) cast member who is a caravan fan! 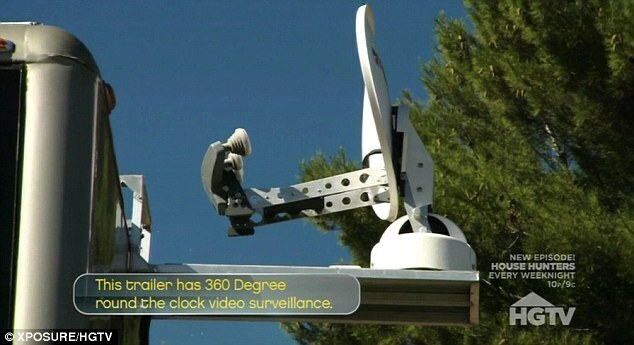 I couldn't find any more information on Adam's involvement in the caravanning world, all I know is that he likes it. 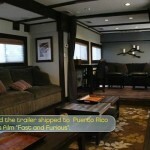 If you know more about his caravanning experience let me know in the comments below. 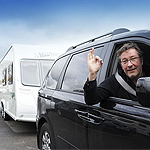 Musician, writer and TV presenter Rowland Rivron and his family are avid caravanners. Rowland is featured in the image to the left driving away with his brand new Bailey Ranger purchased from Michael Jordan Caravan in 2008.
" which contains a list of recipes especially for cooking in a caravan. Melinda Messenger is not just a caravan fan, but also a hero to caravanners alike. In the TV show that she hosts, Cowboy Traders, she goes on the hunt for a rogue caravan dealer who has been ripping people off. Hopefully no one else will be conned by him now! Little else is known about Melinda's caravanning habits - if you know more do tell! 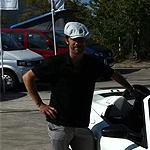 You may not be familiar with Jay Kay, he is the singer from Jamiroquai. He can be seen (left) arriving at Danbury Motorcaravans to collect his new Danbury Royale camper based on a VW T5. You read more about his visit on the supplying dealers website. 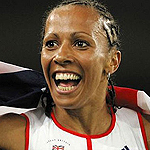 Britain's double gold Olympic medallist is also a caravan fan. She joined the Caravan Club to open the Caravan & Motorhome Show in 2007. The Dame has been known to take short weekend breaks in a luxury static caravan somewhere on the South Coast of England. Nell is the 2nd glamour model in my list of celebrity caravanners! In a news post on her website Nell said, "I am very proud to say I am now a member of the Caravan Club! 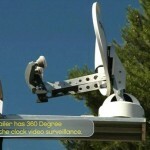 I am looking forward to trying out some of the 200 sites available in the UK and around Europe.". This statement leads me to believe that Nell McAndrew is indeed a caravan owner too. I’m sure there are A LOT more celebrity caravanners out there who would rather keep that fact a secret, otherwise screaming fans might turn up at their next visit to a caravan site. Who in this list surprised you most? Let me know in the comments below. You also forgot Martin Roberts from ‘Homes Under The Hammer’ He regularly holidays in his caravan the family and he also writes a column for the Practical Caravan Magazine! Good that celebrities love caravan holidays because their human like us. We hire caravans in Scotland there are beautiful views lochs and mountains which is our son David favourite place he’s happy because we go on lovely walks and if he’s loud there’s no worries because we’re miles from everyone.